This is part five of a five-part series on energy and Thriving as an Empath. Did you miss previous blogs? Over the years, I have spent a lot of time studying our world; politically, scientifically, socially, and consciously. I first learned I was an empath from a counselor I was seeing during my divorce. It was also suggested that I might be an indigo adult. Studying and discovering these two labels, identifiers, archetypes, or avatars resulted in a journey that would change my life completely. I now had a new way to not only understand myself and my struggles over the years but also to understand the world and our evolution as a species. Clear feeling or clairsentience: The psychic sense of feeling other people’s emotional and/or physical sensations. Clear Knowing or Claircognizance: The psychic sense of just knowing things. In an empath, claircognizance means psychically interpreting their environment through energy. Natural healing: Empaths naturally run the energy they are in and everyone in their presence will benefit. Running energy means they are moving, clearing and flushing the energy within their environment to clear out heavy, dense or negative energy. Deep thinkers, examining life, people, and their work very deeply. Nature and animal enthusiasts, they feel connected to one or both in a spiritual way. Permeable energetic boundaries with a tendency to collect the bad bits from everyone with the desire to heal it. An Indigo Adult is someone having a very specific set of characteristics who is here as an incarnate human being to bring about the evolution of our species. Evolution of the soul and mind mostly. We tend to be rebels in our society. Adhering more to Universal Law than man made law, our young life is often a struggle with feeling or actually being an outcast. It is our non-conformity that is our most powerful asset. We are warriors for justice and Universal law. We are struggling against conforming to a world that offends our sense of right and wrong. There is an unconscious understanding of the Universe and how we fit into it, that serves as our inner compass. The universe is a spiral moving forward through time/space. This movement pattern creates cycles, when it appears history is repeating itself. In reality, we are moving forward and around at the same time, so we will approach the same ideas or events but from a higher, perhaps more evolved perspective. This allows for different outcomes and it allows us to reflect on our journey. Have we grown, matured, learned from the last time this happened? For example, in the history of the United States we fought the Civil War, in the 1860s, whose main conflict was over slavery and the rights of black people. 100 years later the civil rights movement asked the same questions and more progress was made on the issue of human rights. In each conflict, there was an underlying belief that was being challenged, people of color but specifically black people were treated as being worth less than white people. I can assure you that empaths and indigos were on the front lines of both conflicts fighting for the inherent rights of all human beings. Even empaths raised in racist family and communities often completely defy their cultural training, because of a deep knowing that all humans are equal, that the very idea of treating another human as anything less is painful to their psyche. It is important to understand that this pattern is the way the whole universe works from the macro of the Universe spinning and expanding in space to the micro of our own personal development, facing the same darkness again but this time from a different vantage point. A very empath example of this is my personal experience of marrying a person with strong narcissistic behavior, divorcing him and getting lots of therapy and energy healing to learn my lessons and then having to end a long-time friendship because of the same pattern. The second time was much easier and I was able to see the pattern for what it was and know that I wasn’t going to get myself into that pattern again, I had learned my lesson. The Universe’s spiral forward movement describes the way events happen. Maslow’s hierarchy of needs describes humans’ ability to intellectually and emotionally evolve. The rise of the business and life coaching industries suggests that some of the world has evolved in our human development to the top tier in Maslow’s pyramid, self-actualization. In my work as a teacher and intuitive energy healer, I spend a lot of time working with people who are ready to let go of old belief systems that no longer serve where they are going in the world. These beliefs having been passed down from our parents and ancestors. It is important to remember that we need to thank our ancestors for their hard work of creating a country where many of our citizens are able to strive for self-actualization. This has not been true for most of the time humans have inhabited the planet. It is an honor that we get to do this work of shedding what holds us back. Happening simultaneously, for millennia, humans have operated primarily from the solar plexus chakra and over time, this has played out in the shadow side of this chakra’s energy. The solar plexus chakra is about the will to exist and be our true selves. Sometimes referred to as self-confidence. It is also the chakra of personal power. Humans in our interactions (especially white Europeans) have been acting out the shadow side of this chakra and expanded across the globe through conquering other cultures deemed less intelligent or civilized, power over. In today’s society, it is seen through status and wealth, those with both are the ones in power. The world is struggling with this paradigm right now and most obviously here in the United States. An unhealed solar plexus seeks to dominate others to elevate one’s position. Power used to keep some down and allow others that fit a certain profile to succeed. Empaths are here to demonstrate how to operate from the heart chakra and a healed solar plexus. In our experiences as empaths, we have often struggled with the solar plexus due to not fitting into the social norms of our society. Our confidence is shaken with repeated incidents where our way of living from the heart comes off as awkward or completely unappreciated. We are often offended or hurt by the power-over culture we see out in the world. Our heart chakra is our strength. We know all people to be equal and completely connected, and in fact dependent on our connection to each other. And we take great pride in working from this pretense. However, in order to teach others how to lead with their hearts and live wholehearted lives (thank you, Brene Brown), we must heal our solar plexus of the wounds of power and stunted confidence in order to be embodied in our power and lead from the heart. Perhaps my story will sound familiar to you. I tried for a lot of years to find happiness living my life the way I was supposed to, the way society encouraged me to do life. School, college, meet someone, establish your career, marry, have kids, buy house, new career, new house. Always going for bigger and better. This path was indeed painful and I was unsuccessful. I am most definitely, a square peg trying to fit in a round hole. Once I was given the freedom to think about myself as being different (as an empath and an indigo), as requiring and seeking out something that wasn’t mainstream, my life finally began to make sense. I stopped trying to live a life that had nothing to do with me. That would never showcase my strengths or highlight my wisdom and natural talents. Instead, I began to explore who I really was, what I was really good at, and what I felt compelled to explore. I learned about being an empath, knew I was really a teacher and a natural healer, and I felt compelled to find other empaths and teach them to thrive. This is my purpose. A lightworker is someone who uses their natural talents and ability to raise other people up. Many lightworkers are healer but certainly not all. They simply do what they do using the following capacities. Our particular make-up has a set of capacities that make our contribution to the world differently. These capacities are important to the help move human evolution forward in all ways. Empaths are a piece of the puzzle that is humanity. When empaths are interested in something they learn it deeply. They notice all the details that make up a person, book, job, or place. It is joy for them to see and understand it all. Deep insight leads to Connections and Patterns. We see, feel, and understand things at a very deep level. We notice more than other people allowing us to make connections between things. We see patterns that most people do not, leading to innovations and new understandings that bring advances to business, politics, science, and communities. Empaths can read a room or a person through energy with amazing speed and accuracy. Determining mood, intention, and needs without communication. The information empaths receive is coming through the psychic senses. Our inner compass is set to Universal Law where we know all creatures as equal and love is the currency. We don’t fit well in the current world, so we seek to create products and services that make us more comfortable in the world. Throughout our lives, we desire and often create opportunities for the underdog to win. We champion the fight for truth, love, and equity. The Empath Capacities are our unique way of contributing to the world. They are our empath traits in action. The work we can do from this platform is indeed inspirational and evolutionary if not revolutionary. Empaths often feel a pull towards purpose. A desire to help the world or create a world that is more comfortable for us to exist in. Once we have decided to tackle that purpose our professional archetype will fall into one or two of these four archetypes. If you are looking for a container for your purpose, one or two of these might help you define your career path. 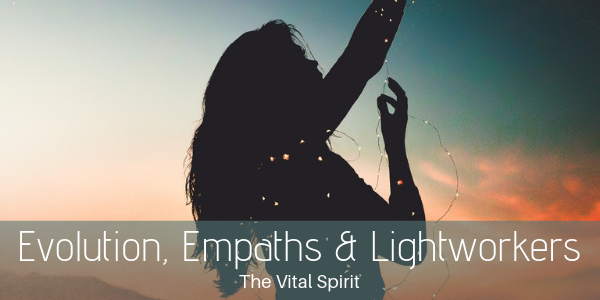 Empaths can play an important role in the energetic evolution that bring light and dark into better balance and shift the planet into a higher energetic vibration. However, we must heal our solar plexus chakras of the trauma we have experienced being highly sensitive and open energetically. Healing the solar plexus allows us to fully embody the heart chakra from a place of authentic power and sovereignty. As each empath pick up the mantle of self-actualization through energetic alignment with our purpose, the light spreads, the evolution of consciousness spreads throughout our society gaining a foothold that can eventually shift mass consciousness to embrace operating in the world from the heart chakra. Embodying the principles of love, equity, collaboration, and abundance. I created The Vital Spirit to educate, align, and lead empaths to carry out their purpose. Laura Rowe is an Intuitive Strategist & Spiritual Teacher at The Vital Spirit. She has a background in business operations, a master’s degree in organizational management, and she currently works to serve empaths and lightworkers who are living their Light in their livelihoods, relationships, and communities.